I also mentioned that I enlisted the help of Brenton Ford from Effortless Swimming and his Swimprove program. If you are ready for a laugh here is the video I sent him for analysis. Yesterday, I completed the introductory lesson in the Swimprove Mastering Freestyle Program, which was 2000 meters of drills. While at first glance the drills seemed rudimentary, even for me, they helped tremendously. At first glance it doesn’t look so bad does it? I didn’t think so either until I dug into it. It was the amount of kicking. As proof from the video, I do not have what any swimmer would call a strong kick, so it felt like forever for me to move from one wall to the other, but luckily that wasn’t the point of the drills. It was to learn balance. and that, ladies and gentlemen, is a lesson I learned. I finally felt what it was like to be able to have a steady plane toward the surface of the water without a lot of effort. From the second set on, I put on a pair of Zoomers(short fins) so I could at least get through the workout in time for work, and with each set I felt myself feel the water a little more. Of course all the “feel” in the world didn’t keep me from zigzagging down the lane, at least while I was on my back, but my whole body was at least on the surface without dragging my legs, which is a huge issue for me. By the time I turned over and was kicking on my side, and allowed my arm to dip below the surface about thirty degrees, I felt like I was really moving. I even had an epiphany about breathing because while on my side I was forced to exhale out and almost roll completely over to get a breath. I even started to relax a bit. The cool down, while still not effortless, was far more streamlined than when I first entered the water that workout. I think Brenton might have something with his Swimprove program. Stay tuned, boys and girls, for more highlights from my journey to a faster more efficient swim. Runners – Have a great race weekend! 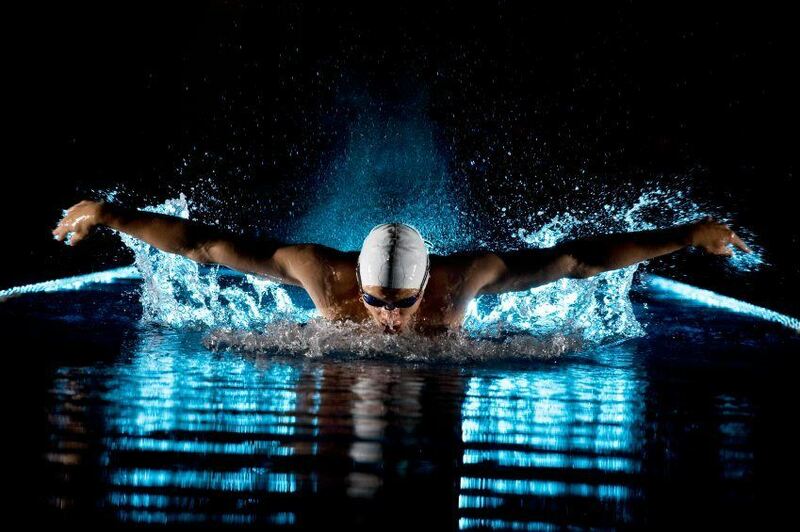 I’ve always considered myself a strong swimmer, but have never competed in any type of swimming race. I think I would definitely be overwhelmed with the people all around me and it would be the hardest for me to do out of all three. Hopefully another video will help you get the advice you need!